Mr. Modi, please spare our plates! Respected Sh. Modi, this is the second time I am writing an open letter to you. The last time I wrote one was on the eve of the much touted Legislative Assembly Elections in Delhi. Since then, I have been watching things unfold. The Delhi government led by Sh. Arvind Kejriwal has had a mixed response, and the same is with your government at the center. Both having some good and some bad for me to weigh both the governments. I believe the Delhi legislative assembly elections had become a question of pride for you and your party, so much so that they had to bring in the Prime Minister of the country to do election campaigning for them. Such was the effect of Arvind Kejriwal that even after a lot going against him and his newly formed AAP, that, as much as I can comprehend, Kejriwal singlehandedly defeated all of you political heavyweights, including you, the posterboy of the 2014 Indian General Elections, who singlehandedly got the kind of majority your party got back then. Cutting across to the present day, today, we are being ruled by you and your party. It's been more than a year since your party, after getting the largest political mandate in quite some time formed the government at the center with the promise to take India to the next level. A slew of announcements did show us some rays of hope, but everything has come back to normal. Nothing moving as was shown to us in your election campaigning during those times. It was as if you were the magical fairy from the fairyland with a magic wand in your hands and once you are united with the Prime Minister's chair, your powers will be complete and you will transform the country overnight. Forget about overnight, it can't even be a tenure of 5 years that will be enough to transform the country, as according to one of your party members, Modi will have to rule us for more than five years to bring 'achche din'. And here I thought, that even if I haven't voted to bring Modi to power, when he comes to power, I too will be able to taste 'achche din'. Appears that the achche din has turned out to be another "chunavi jumla", as was the promise to bring back black money and deposit a share of it in the bank accounts of all Indians. There have been many incidents which showed increased religious intolerance among cadres of the government and supporting parties. A many of such people, for whatever their reason of voicing such an opinion, are sitting in chairs of ministers, holding important positions, and are regularly engaged in doing badmouthing for something or the other. Since I have already written about all this in the last open letter to you, I think I should now come up with what was my main motive for writing this open letter to you was. This time around, the issue is not just about some illiterates, criminals, foulmouthed fools ruling us. It has gone beyond what I as a citizen of world's largest democracy could ever accept. It's a question about my freedom. A freedom that I have as a human being. A freedom, that is not expressedly imparted to me by the constitution of my country, but one that I guess, no one has the right to impart it to me. A freedom that makes me all powerful to do anything and everything for it. It's the FOOD! Yes, the very food which, has inspired a lot of bollywood movie heroes to become thieves in movies in order to fill the empty stomachs of their hungry brothers and sisters, the very food which, according to one learnt politician turned actor was available for as low as 6 rupees in a metropolitan city like Mumbai. The nightmare surrounding my food started with the BPJ-Shiv Sena coalition won the Assembly elections in Maharashtra. You put up a ban on sale and consumption of beef. I guess this had something to do with "gaai hamari maata hai". So, entire state of Maharashtra was devoid of beef. Did you or the BJP leadership or the RSS ever cared so much for the cows? I guess no. Had it been the case, we would never have face cows sitting on the roads jamming traffic. We wouldn't see them eating polythene bags which choke their stomachs, killing them, and we wouldn't have seen hordes of animal lovers sweating out there in milk farms of Mumbai, struggling to save cows from drowning in the rains and subsequent flooding in Mumbai this monsoon season. I believe beef is almost a staple meat food item for rest of the world. If I am not wrong, beef in the rest of the world, barring a handful of countries like ours, is just as common as we have chicken or fish. This, I believe was a step inspired and forced by the parent organization Rashtriya Swayamsewak Sangh. I agree that in Hinduism, cow is worshipped, so you put up a ban on sale and consumption of cow meat in an entire state ruled by your party? What about pigs? Did your government ban the sale and consumption of it? Why is it that in the interest of your community, or I should say, to fulfil the motives of some self proclaimed savers of Hinduism did you not consider the natural right of human being? The right to food! The right to eat whatever they please (ofcourse, sans other human beings, since there are laws in place prohibiting it). Why did you not consider that you are beginning a whole big debate, something that would bring in a storm wherein you and your government will be in the eye of it? What gives you the right to control what we would eat? Is it the chair of Prime Minister of the country that you think gives you immense power to make us eat whatever you feel right? Since that one decision to ban beef in one state, this has become a norm. There have been PIL's and for the first time in my life, to me, it appears that the judiciary too has become biased towards achieveing the nefarious motives of the government and the people who rule the government. There has been a sudden spike in such bans being implemented throughout. Some time back, we had a ban on Maggi, a near staple food for whoever was in a hurry. I miss my Maggi, especially since I have no one to cook for me these days. Maggi has been there for decades altogether, and the FSSAI just woke up to find excessive contents of lead and MSG in samples of it? Good that they woke up. But the question is, why now? And why ban this seemingly harmless thing, when there are dozens and dozens of things available for our consumption which are many times harmful than Maggi? Ever heard of Alcohol? Oh, I forgot. You have heard it. That's why you enacted a law in the state you ruled for so long to prohibit alcohol, making Gujarat a "dry state". But what was the bottomline? Well, I found it out quite late. Alcohol was not banned in Gujarat. It was just made illegal for the common men and poor who couldn't pay the government to get a license to drink it. Great. What a plan! You are selling liquor with the help of vendors who are paying you for license to sell liquor. Then you ask people who want to drink this slow poison to dole out money for them to get a license from the government to kill themselves, and you and your government ban Maggi? Do I need to say anything about cigarettes and gutkha and tobacco and pan masalas (oh, I had forgot this one completely, I don't know if you ever noticed this or not, but ever since there came a ban on gutkha, there's a tremendous increase in advertisements of pan masalas, that don't contain tobacco, and advertisement wise, they contain all the good materials, gulab jal from himachal pradesh, kaththa from somewhere, ruh kewda from somewhere else, elaichi from somewhere else, and something from somewhere else, and oops, I almost missed this one, saffron, which makes you drown in it's taste), pan masalas being sold by bollywood stars and non-stars as well, acting as NRI's who came to India just to have pan masalas and go out of India with their pack of pan masalas, and reach the heights of success and celebrate with pan masalas. And there seems to be some invisible source of money that is being pumped in these products which now have advertisements spanning anything between 20 second to a 40-45 second advertisement running in multiple times during a prime time show on national television channels, with small unseeable text showing a warning that "chewing of pan masala is injurious to health". I guess if Nestle comes out with such a label on the pack stating "eating maggi may be injurious to health", the FSSAI would have no problem with its sales. Nestle, are you listening to my brilliant idea? I believe this idea of mine is worthy of some royalties, isn't it? Ok, skip it. I was on the meat ban. Well, in case you are wondering why my emotions are flowing out? Am I one of those who, according to one political party, should move out to Pakistan? Am I one of those who are fearful of the meat being snatched away from their plates? Am I one of those who sit in the opposition just to Oppose, just like you did when you were in opposition? The answer is no. Oh, sorry, for the first one, I guess the option to move out to Pakistan is more of a hate based than it has anything to do with my religion. Well, if Pakistan has politicians better than what we have here, I would happily move out to Pakistan, or any other country these fools want me to go. They seem to have forgotten that maybe, the ancestors of the very people whom these morons want to move out to Pakistan today, given the good lifestyle they have achieved, might have slained themselves to save the unthankful arses of their ancestors. They seem to have forgotten the soldiers who laid down their lives to save the country these fools now want to rule, sacrificed themselves for their motherland without even caring once that the ones they will save by getting themselves killed might be from another religion. What I am afraid of today is, the smart plan that is being implemented. It had always been between Hindus and Muslims and Sikhs and Christians. The other religions somehow got ignored and thus out of the loop. So why not entangle Jains this time claiming a ban on all non-vegetarian stuff, meat, in the name of Jains? Why not widen the scope of hatred to include the followers of other religions that have traditionally stayed out of this business of hatred? The more divided we are, the more easy we are to rule. So we are here! On the pretext of a Jain festival, enforce a meat ban in an entire state(s). Try to guage the temper of people. This will come as a learning, to how to tackle them? Sir, we are common men and women of India. We do not have a Parliament Canteen which provides us with a plate of Chicken Biryani for Rs. 51, or a vegetarian thali for Rs. 12.50. For us, even the cost of getting the ingredients for preparing a plate of chicken biryani will cost us atleast 2-3 times more than the cost at which you are having it. And tea is definitely not available for Rs. 1. More than anything else, our plates are already under a lot of pressure from the hordes of blood sucking hoarders and middlemen who choose to bite into our monthly expentidures by selling onions at Rs 60 a kilogram or sugar at Rs 45-50 a kilogram. Please don't ask about the pulses, and milk which, has become a new way to turn rich overnight. Every three months, we see a hike of a rupee or two in the prices of milk for no apparent reason. The milk producers from which, the world's largest co-operative acquires milk are still there only. Nothing has changed for them when compared to what all has changed for the cooperative. Yes, I am talking about Amul (Anand Milk Union Limited). It's Amul which decides to hike prices, which has a domino effect on all others, Mother Dairy in NCR regions, Verka in Punjab, Parag in Uttar Pradesh, Govardhan, and all other milk brands, as if they all are distributors of Amul, and are forced to hike prices because Amul hiked it. I know this is not going to have an impact on you or your government or the decisions you take, since policy decisions are to be taken by elected representatives like you and your ministers, and I being a powerless, useless, usedless, needless, common man doesn't have a right to tell you, suggest you, or warn you, for what I or my neighbours did on the election day made me all I am today. But I would really like to request - Mr. MODI, PLEASE SPARE OUR PLATES! Windows 10 Upgrade? Is it worth it? 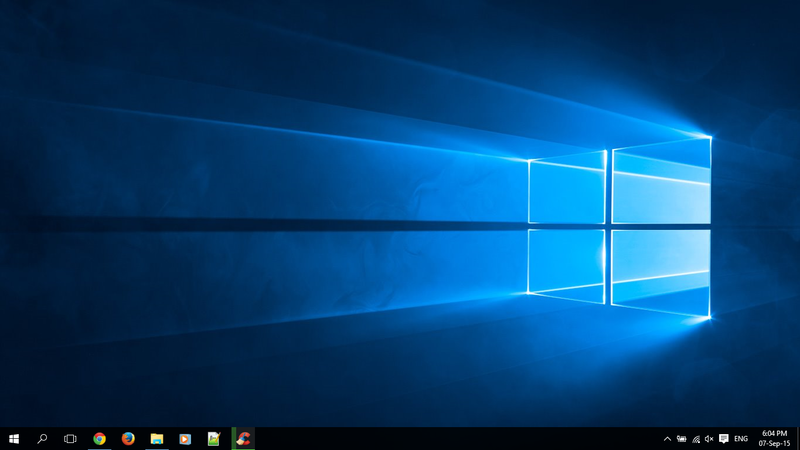 A great hype has been created around and about the latest offering from Microsoft - Windows 10! So, is it worth upgrading to windows 10, Just now, more importantly while the Redmond giant is offering its latest windows OS as a free upgrade to anyone who is upgrading with a Windows 7 or Windows 8. Windows 10. Should we? Should we not? Just like a lot of other techies, I too wanted to have a hands on experience with Windows 10 as soon as I could get my hands on it. 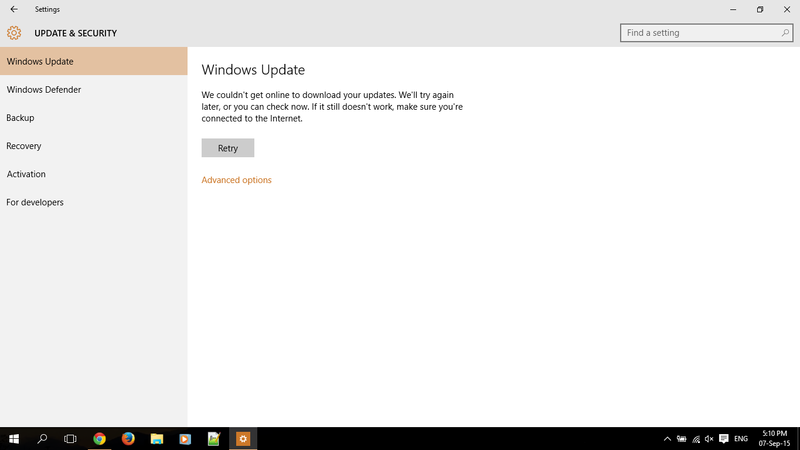 Apparently there were a number of ways to upgrade to the new Windows OS, it's worth mentioning that the best one is to do an online upgrade, wherein, the Windows Update downloads the specific files which prompt you to upgrade windows. Once you sign up for an upgrade, it starts installing the upgrade files once it makes sure that your PC is compatible with all the hardware requirements for the new OS to run without any problems. Infact, there's rarely a chance any modern PC's and laptops will not be compatible, hardware wise. Going by the Windows 10 Hardware requirements page, it appears as if an age old PC too will be powerful enough to run Windows 10. Pentium 4 on your mind? Well, I've got an Intel Pentium 4 processor still lying around, which is pretty much powerful to run the OS properly, given the minimum requirements. Anyways, I got the installation of Windows 10 using a workaround I found at CNet, Thanks for that Matt, since I didn't get that upgrade notification, and as a matter of fact I still haven't got it for any of the other Windows 7 SP1 installations I've got, including Genuine ones. The 4+ Year old laptop I'm using is still powerful enough to run the OS and all the installed applications with all bells and whistles, so, I moved on with the upgrade. Day 7 since the Launch of Windows 10, I turned on my Laptop while in Office, and it started the download process there itself as soon as it connected to the internet over WiFi. The ~2.5GB download took around 2 hours to complete, and the upgrade process started. Now I chose to upgrade a second copy of Windows 7 on my laptop which multiboots with two instances of Windows 7, ofcourse for safety purpose, in the unlikely scenario of one of the OS installations going kaput. Then started the loop of feature installations and restarts and upgrades and restarts. It took another ~2 hours to copy all the files, install all the features and upgrades, after that what I was presented was a rather stunning piece of Software programming and extensive work, for FREE! I was mesmerised with what I was seeing. A newly redesigned UI with the black theme, a new logo, some upgrades here and there. What intrigued me most was the kind of upgrade. Earlier, as far as I remember upgrading instances of Windows XP or Windows Vista with Windows 7, it used to be a clean installation, over the top of the present OS. You could choose to save the files, and all the folders by choosing not to do a clean install, but it wasn't something it happened here. The installation actually worked like an upgrade, which replaced just the system files, to upgrade the system to a new OS. All the other application installations, system settings, and all other things I could think of remained as it is. No change whatsoever. This was a welcome note. The re-introduction of the start menu, will be appreciated by a lot of people, though, frankly speaking, I never had any problems with the Metro UI and the tiles layout on Windows 8. So, what are actually good with Windows 10? Well, there have been praises all over from all corners of the web, so, I'm guessing there has to be something that MS did to get all the praises. I somewhat agree to this fact. When compared to the not-so-popular Windows 8, I believe Windows was quite a leap ahead. To me, Windows 10 appeared to be somewhat a drastic measure to fix all the things people didn't like in Windows 8 or even in the subsequent service pack releases in the form of Windows 8.1. Personally, I don't have much of an experience with Windows 8 as I never moved beyond the Windows 7 OS that shipped with my laptop. Though, as I described I did participate in the Windows Insider Programme by installing the Developer Preview of Windows 8, and for the time (of 180 days) that I "tested" it, it was a refreshing change to the Windows 7, if one could ignore the drastic learning curve for general public had to go through with the Metro UI, the tiles layout and removal of the start menu. Other than that, personally, I liked all of what was rolled out in Windows 8, but that was not enough for me to upgrade to Windows 8. This time around, with Windows 10, it's a different story altogether. With MS deciding to give away copies of the latest iteration of Windows free of cost to eligible devices running Windows 7 and 8 with latest service packs. This made the deal much sweeter for anyone looking to upgrade to the new OS, more so, with the support for all flavours of Windows 7 ceasing to exist, which meant no more hotfixes, no security patches, no feature upgrades, which also meant hardware manufacturers would also gradually leave out Windows 7 in future. With the rollout of the Windows 10 Upgrade Notification on eligible systems pushed through Windows Update, MS played a sort of master stroke to reach the masses. Imagine yourself turning on your computer one morning to see a notification which gives you an option to Download and Install Windows 10, that too FREE OF COST. Now who doesn't like free stuff? I do! But here ends the good thing. Microsoft built a good enough hype around its latest offering, with a lot of media coverage for the latest offering. However, I feel the implementation of this was a bit flawed. How? Well, if I cite my own example, I used to use two separate instances of Windows 7 on my laptop, something that I learnt the hard way when I upgraded my PC to Windows Vista from good ol' Windows XP, which was quite dependable. Since then, I always had my computing devices running in multiboot mode, at times, running three different OS' Two Windows and a third one running Ubuntu. Okay, coming back to Windows 10 upgrade. I was being critical of the implementation strategy. Now the problem, that has happened with me is that None of the Windows installations on my laptop, the PC at home, and infact, no one I know ever got the upgrade notification on their own. As of writing this article, I am yet to get the upgrade notification on my laptop running a Genuine copy of Windows 7, that shipped with my Dell Inspiron notebok, even when Automatic updates are turned on, and I regularly choose to install windows updates. This says tonnes about the implementation strategies chosen by MS. Apart from this, the hundreds of workarounds to get the Upgrade Notification on our PC's also tells the story for rest of the world. Now, moving forward to what's in Windows 10. I must say, MS did a good job. But that ends there itself. It wasn't something that I'd expected them to build upon beyond Windows 8. The majority of work was already done in Windows 8. Like the ability to pause file copy and paste operations. Some nifty additions like network usage monitoring was already built in Windows 8. With roughly 20 days of usage experience on Windows 10 under my belt, I can say one thing confidently. All MS did was to make the OS seamless throughout different platforms and devices. The fact that Windows 10 now runs on computing devices, notebooks, desktops, as well as tablets and cellphones, makes the experience on a PC running Windows 10 not that good. All I could make out was that my notebook was now just a huge cellphone with a landscape clamshell form factor, a big keyboard, a 14inch screen, and packing some bulky hardware including a defunct optical drive. All I could experience was too much similarity to Android running on my cellphones. Almost all the interfaces, from connectivity options, bandwidth usage among applications. Even the OS is an 'app' based one. What used to be called application in previous version are now called 'Apps'. 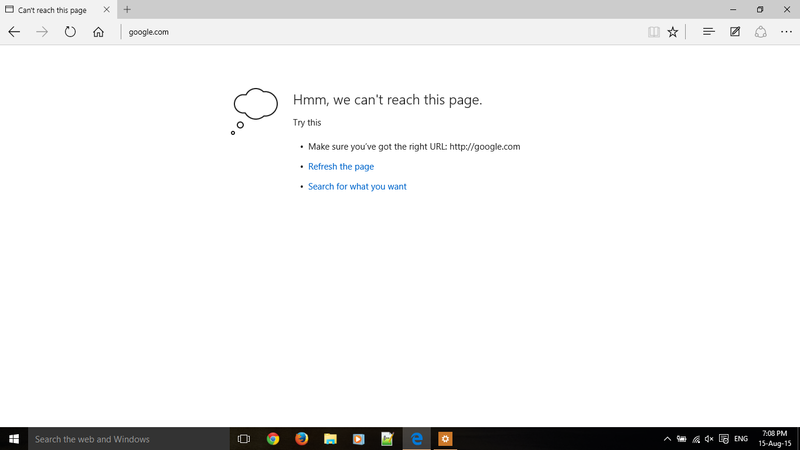 The new browser - Microsoft Edge is an app. When I search for something in the search bar of the start menu, it refers to it, if it is an application as an 'App'. I mean what's this fix about the App based ecosystem that you try to erase the line between the OS running on a fullfledged computer and a half baked computer in the form of Smartphones? Frankly speaking, there has to be a sort of delineation when it comes to our devices. As of writing this, I checked the Windows Update to no avail. It still gives me this error that it can't go online. While my other browsers can. Now, coming down to all that is wrong with my particular installation of Windows 10. Well, I installed it on my notebook. It all went well initially for the first couple of days. Everything was fine until one day I realized that none of the windows services could reach the internet. Other Applications or what MS now likes calling "Apps" could easily reach the internet. My Avast antivirus was updating daily, all my browsers were working fine, except MS Edge. Even Internet Explorer too was working properly. 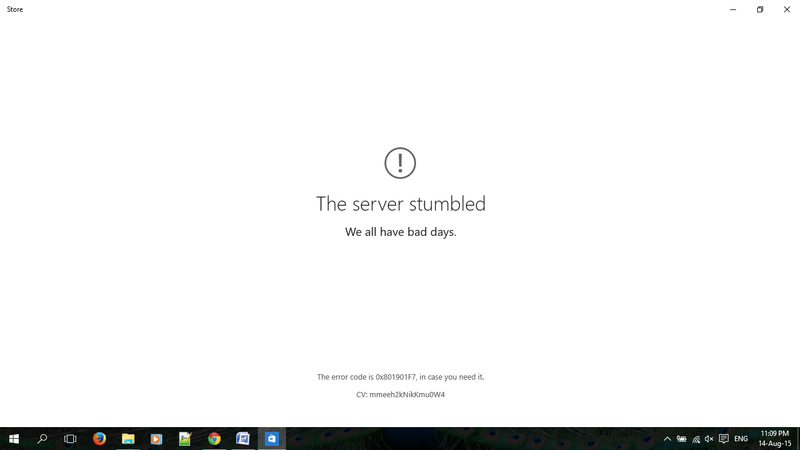 The store app failed with the well known "The Server Stumbled Error." 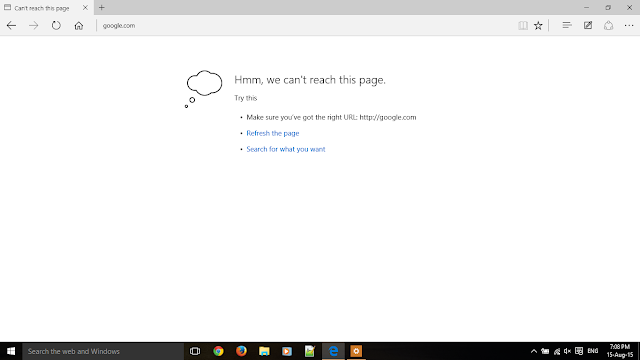 Then the bundled browser "Microsoft Edge" couldn't reach the internet. 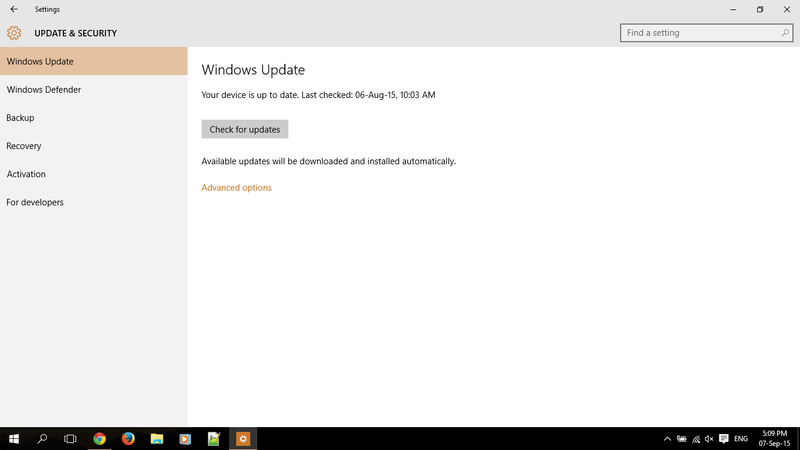 My Windows last updated on 06-August-2015, probably the day I upgraded to it. Now it too can't find any updates as it "fails to check for updates." A search over Google turns fruitless as the internet is too obsessed over telling people how to upgrade computers running Windows 7 and 8 to Windows 10. Well, you are right, but for now, you are giving me a bad day. And then when someone offers to help, like in some instances where I searched for the Server Stumbled Error on the Windows Store app, the solutions provided were all useless, atleast in my case, to say the least, and unrealistic for a regular user who doesn't know how to run the Windows Powershell in Administrator mode, more importantly when the search results on the start menu doesn't give you an option to right click and run it in Administrator mode. Now imagine yourself as a regular user of the Windows operating system. Why would you care for app registrations and stuff like that when the app itself came with your OS? There's no reason for you to bother about that, but MS has made us bother about that as well, as a number of "solutions" to problems faces, like the one with the store app, seem to be caused by this service registration corrupted or missing. But none of these have been able to solve my problems. This is not all. I have been dealing with a lot of this. Start menu suddenly freezes, not responding to anything, which means you can't access the programs from there, no way to do anything from the RUN command too by pressing Win+R keys, no way to shutdown, restart or hibernate your PC when this happens, especially when you don't know where cmd.exe is located. Thankfully enough, you can still access the Windows Explorer, navigate down to C:\Windows\System32 and here you go with cmd.exe. The notification toolbar at times fails to show you wireless networks you could connect to. Over everything else, there is too little you can do to fix it all. None of the fixes I got my hands on rectified the issue. The individual updates are no longer downloadable like they were in the times on Windows XP of Vista or even Windows 7 as Hotfixes. I believe MS is pushing fixes to most common problems faced by people out there, but then that's not for me, for the time being. The only resolution that appears to me right now is a clean install of Windows 10, that would mean I will have to do away with my windows installation of 3 years and will have to redo it all since I am now past the roll back windows time frame of 30 days, trying to experiment, setting it all right. So, for anyone, who is looking forward to install Windows 10, I would say, please check out before you do that.